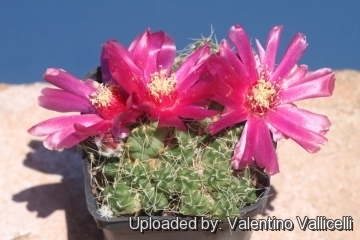 Type locality: Camargo: vicinity of Incahuasi, 3200 m, Bolivia (Western South America, Southern America). 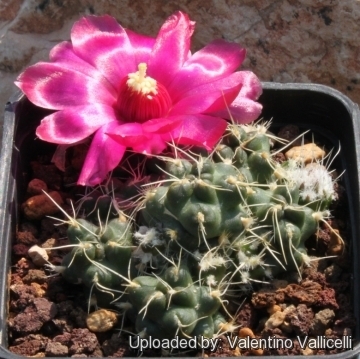 Maihueniopsis subterranea f. incahuasi hort., n.n. Puna subterranea f. incahuasi hort., n.n. 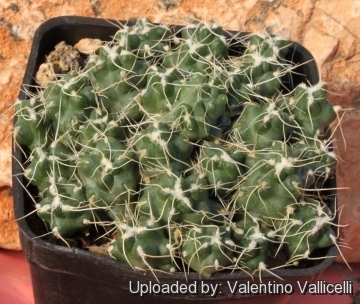 Description: Maihueniopsis subterranea subs. 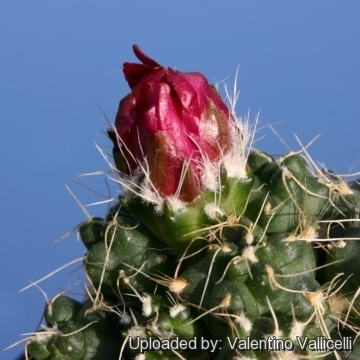 pulcherrima, originally described as Tephrocactus pulcherrimus by J. J. Halda and L. Horácek in 2000, is a small plant geophytic opuntioid cacti with very tuberous root which remains half buried in habitat, showing approximately 1 cm from the ground. This plant tends to proliferate more than the type species both in habitat and culture (albeit slowly) and has a larger (4-6 cm) red or sometimes violet flower. The stems are greener and thinner and form large dense clumps with more than 100 heads. This species is also known in cultivation as Puna bonnieae f. incahuasi. Roots: This plant has deep tuberous roots with only 1 to 3 cm growing above ground level. Leaves: The leaves are very small and fall off early. Flowers: The blossoms 4-6 cm in diameter, deep rose red, purple to violet and very showy. Pericarpels without areoles but with a few scales bearing hairs and long bristles in the axils. Blooming: Time The flowering is diurnal and takes place during the summer. Maihueniopsis subterranea (R.E.Fr.) E.F.Anderson: Small plant with very tuberous root and grayish-green, to brownish segments usually around 15-18 mm in diameter and 2-4 cm tall. It is very variable. Distribution: Northwest of Argentina and province of Jujuy to Potosí, Bolivia. Maihueniopsis subterranea subs. pulcherrima (Halda & Horáček) M.Lowry: has greener and thinner stems, forms large clumps with more than 100 heads and has a larger (4-6 cm) red or sometimes violet flower. Distribution: Chuquisaca, Bolivia. 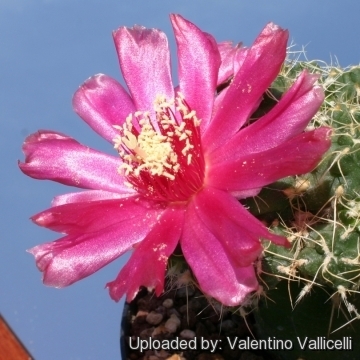 4) Lowry, M. (2004) Tephrocactus Study Group 10(4): 55. 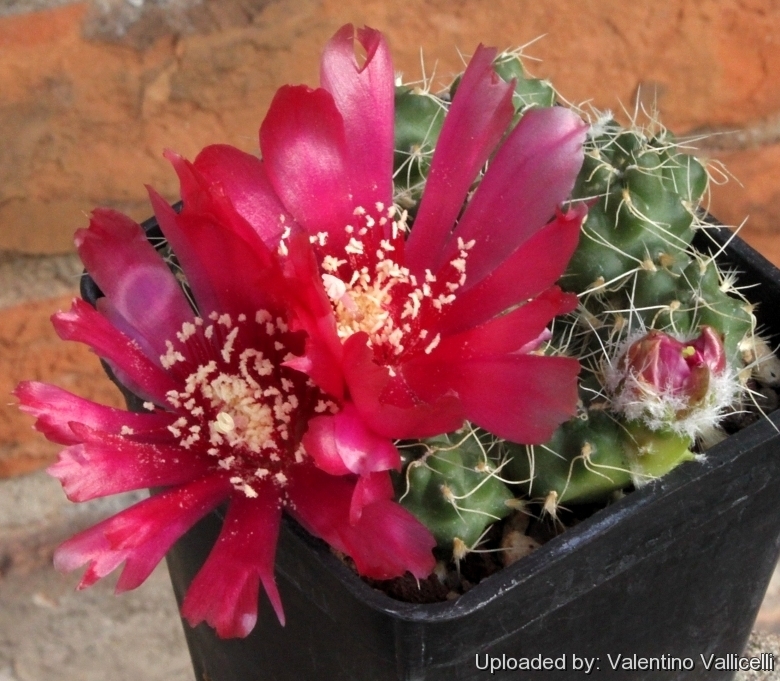 Cultivation and Propagation: This species resists cold well if it is dry and need to be kept in a cool place during winter rest (this is important for the flowers as well as for their health) Without this cool winter period they normally wont get many buds.. 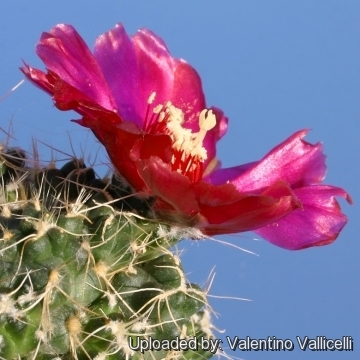 This mountain cactus - because of the elongated fat taproot - necessitate deep pots and a well drained mineral potting mix. They are susceptible to overwatering, but need enough water during vegetation. Requires full sun. Specimens in culture, in special grafted ones, presents a bigger amount of glochids than the ones growing in their habitat. Need a sufficient amount of air.